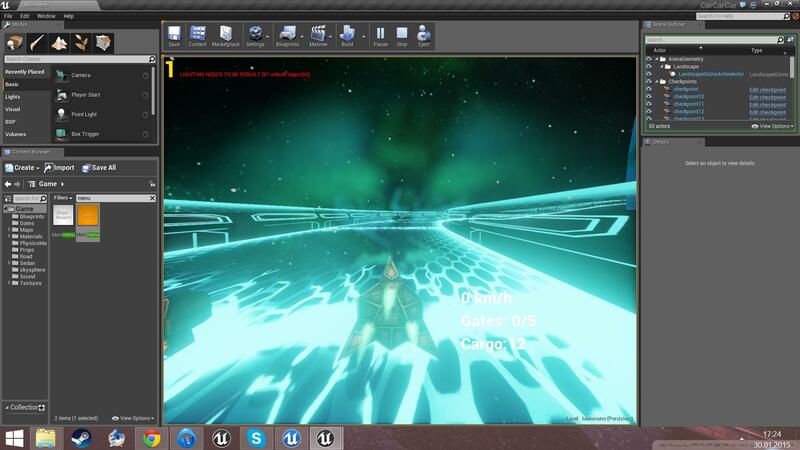 I'm creating a game that utilises a lot of emissive materials. Within the editor, these look fine. When playing the game with a single camera view, they still look fine. However, after using the blueprint node to create a new player and use splitscreen, the emissive materials completely change. They become flat and lose any sort of bloom or glow around them. I tested this in a level within my game (4.6), a new empty level in my game and in the 3rd person template game in 4.7 with all the same results. Our game, for up to 3 players, is also affected by this. please compare those two images! Can we expect a fix in UE 4.7? Those bugs are really game breaking. Thanks for the report. I was able to reproduce this and have submitted it to our internal tracking database (UE-7627) for further investigation. This fix should be included in a future update to the engine. Any update on this? It's been a few patches now and this is one of two things that is still breaking our game's splitscreen. We are still looking into how to best address this issue. It looks more like bloom is disabled when splitscreen is enabled, and we are trying to find the best way to address that point. Any chance we will see this in 4.8? The fix for this issue will not be included in 4.8. This report is currently considered a lower priority issue because it is not a crash or show-stopping bug. However, once 4.8 is officially released and our developers are freed up, this issue will likely move up in priority. We will post back here with updates as we have them. Did I break a rule or anything? It looks like my comment got removed? I was only trying to present my case for why I think this should be higher priority. If that came across wrong I apologize, it was not intended. This is a long standing show-stopping issue. If you are making a Split-screen only game and your game needs bloom then your game looks bad without it. Can't ship a game like that. Have you ever seen Tron? Imagine Tron without any glowing lights. It doesn't look good. Thank you for the quick responses and I hope you will re-consider the priority of this issue. I've bumped up the community interest in this bug to bring more attention to it. I will update you here when there is any change to its progress. Investigation into this issue has shown that the main issue is the bloom effect rather than the post processing. When the bloom is enabled there is a an artifact on the split separations when the height is not a power of two (Assuming we are splitting horizontally). This artifact happens because of the power of two down sampling of the target that contains the 2 screens. Disabling the bloom is the intended behavior to remove the artifact effect. Hi Doug, I've also would love split-screen to get it's much needed attention. In the meantime, could you please, share where to look for in source if one would like to turn it on himself. Thanks! In the 4.11.0 source code from GitHub you can edit the if(bIsSplitScreen) block in the ShowFlags.cpp file. The block begins on line 337. If you are using 4.11.1 or another version the line number may be off slightly due to changes in that file. Thanks a lot for your answer! Yeah, I managed to find it myself. 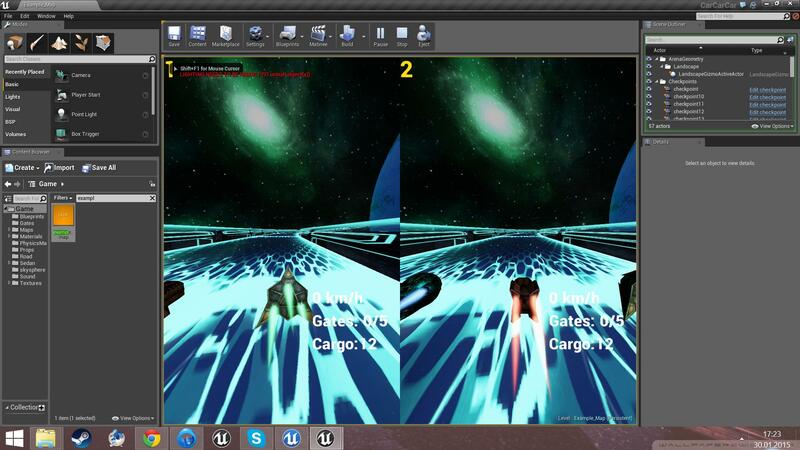 I enabled motion blur and bloom for splitscreen and so far it works great, without any artifacts or anything. Thank you very much Mr. Wilson for the fix! I can confirm that there are no visible artifacts as far as I tested it. Hi Mr Rabbit, i work on student poject and we need to use splitsreen. I have try change the ShowFlags.cpp but doesn't work. Maybe i miss step ! :/ It's possible to give me some help ? Hello Doug, can this also be in the default downloaded version of UE4.16 or does it have to be the github version? After editing the showflags.cpp file does it need to be recompiled or just saving does the trick? Thanks! Wouldn't be nice to have an option? Or is there one already? I suppose can start with it disabled and let programmer enable it, I'd guess it doesn't look all that bad in all situations? Sadly bloom does a lot for many games, some even base their look on it and disabling it makes them look ugly. For people like me who are showing up late: it looks like this issue was finally fixed in Unreal 4.21.